India is surrounded by a rich heritage laden with magnificent architecture which is evident from all the remaining ruins of forts and palaces found across India. Besides the rich heritage of Delhi, there are many other noteworthy forts and palaces found around Delhi where you can experience the luxuries of the bygone era. At this fort, you can experience a magical weekend coupled with feasts and celebrations. 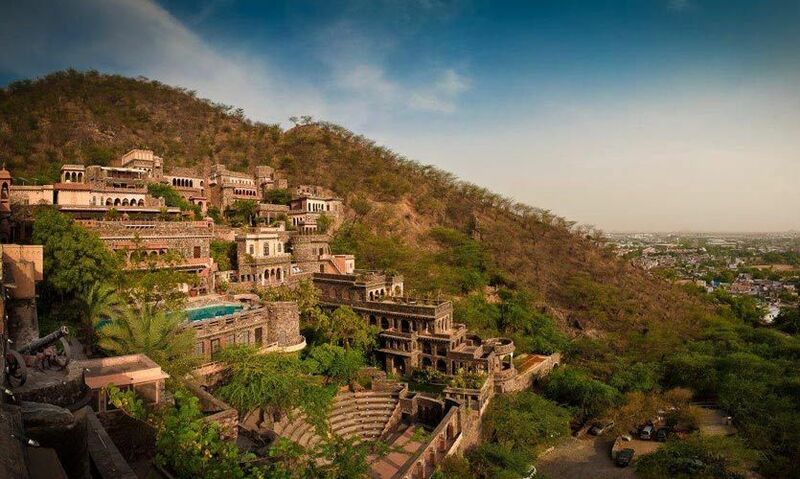 Seven palace wings built over 12 layers tiered into a hill across 6 acres of the garden-palace with hanging gardens, two pools, an Ayurvedic spa, and India’s first zip-line is what the world comes to experience here. It is about 130 kms away from Delhi. 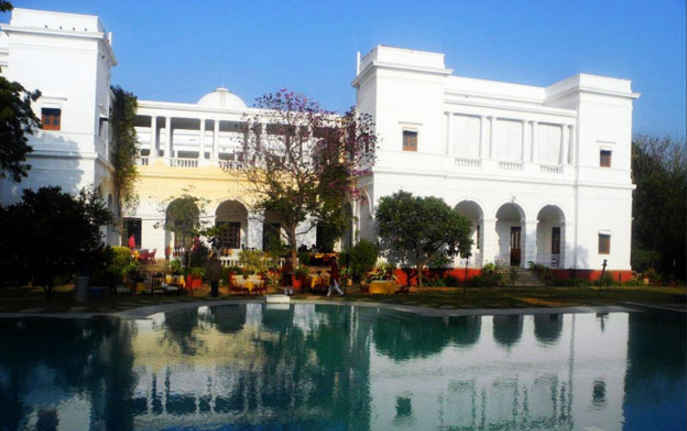 The Samode Palace, Samode Haveli and Samode Bagh all have a rich heritage of hundreds of years! The Samode Palace is located approx 40 kms north of Jaipur whereas the Samode Haveli lies closer to the city of Jaipur and the Samode Bagh lies 4 kms away from the palace. Pick one and simply luxuriate in the opulence! 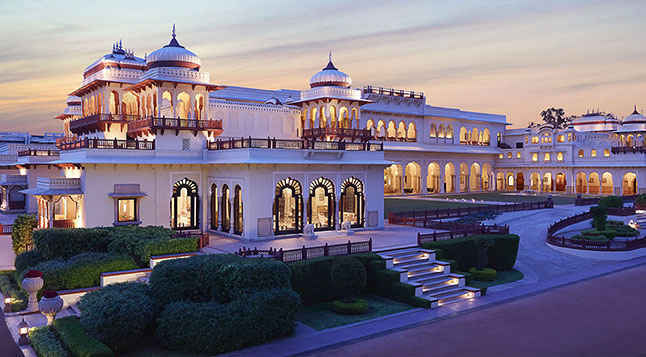 The Rambagh Palace in Jaipur, Rajasthan is the former residence of the Maharaja of Jaipur and now a luxury Taj Palace Hotel. 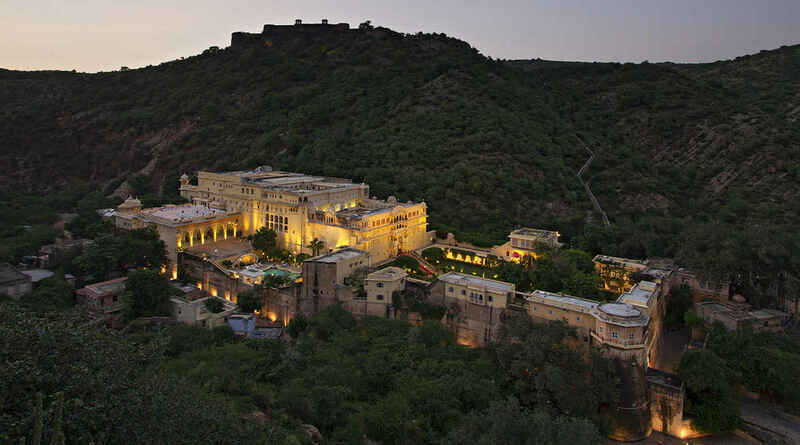 It features 79 rooms and restored suites which were the chambers of the former Maharaja. Every guest here is treated like a king. It is about 280 kms away from Delhi. 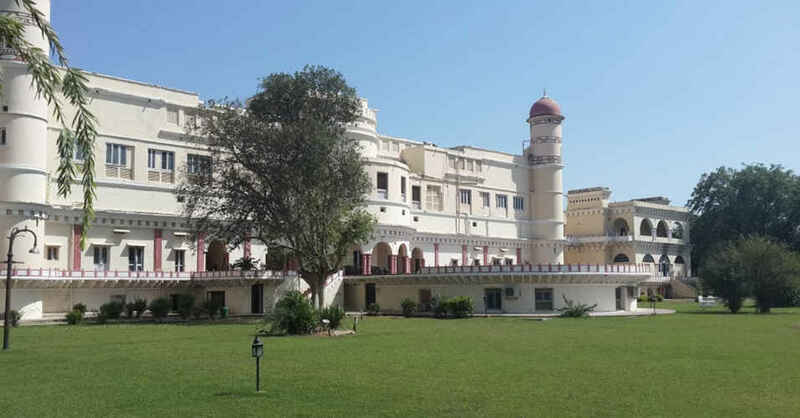 Sariska Palace was built as a hunting lodge in the 19th century by Maharaja Sawai Jai Singh of Alwar in a thickly wooded valley on the threshold of what is now the Sariska National Park. Built over 100 acres with a total of 100 rooms, it’s a blend of French architecture and is a great getaway option from Delhi (about 200 kms away). The 20th century Pataudi Palace with its sprawling luxury and verdant gardens served as the home of two generations of the Nawabs of Pataudi. The palace is flanked by two colonial bungalows, one with five guest rooms and a charming private garden, a private cricket ground, as well as a badminton court.